Been There Done That – Page 3 – Travel stories by desis for desis. Brought to you by X! Travel Club – You deserve a holiday! Since a week and a half I’ve been wrestling with the Oslo piece. The word processor tells me I have three thousand words; I think most of it is rubbish. An image from a nameless movie takes shape: a man is slumped over his desk, in front of a typewriter; crumpled pages are littered on the floor. That image carries a certain weight: physical traces of work done, of time spent. I do not have even that. My first problem is with photographs of our trip. I cannot get them out of my head. The photographs bend the narrative around themselves, like gravity bends light, and soon they take over the narrative, making me write this or that episode about an image. I’ve had enough. I want to float free of gravity. Forget the photographs – there aren’t any in this piece. 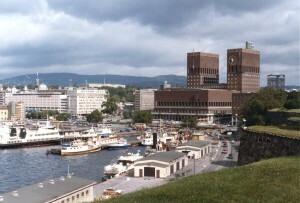 If you’re looking for an easy impression of Oslo, go elsewhere: Google some pictures, or visit Flickr. My second difficulty is with tone. I do not know who is telling the story. Is it a tourist? A wanderer? A traveler? A historian? An academic? An observer? An enquirer? A poet? An adventurer? The choice – or choices – here will determine the tone, and influence the voice. 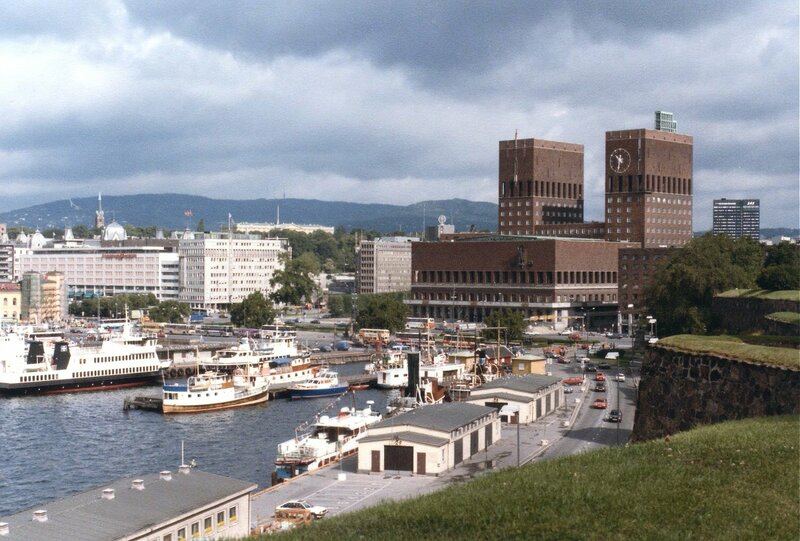 Don’t be dismissive, this isn’t a small matter: your impression of Oslo depends on this choice. The tourist, you see, is superficial. The wanderer digs deeper, but is selective. The traveller is more holistic, comprehensive. The historian delves into the past. The academic spells out theories. The observer gives you details without judgement. The enquirer probes, analyses, passes judgement. The poet, purely instinctive, relies on images. The adventurer does, then speaks. How do I get out of this mess? I could set aside these fancy tone-related notions and begin, for instance, with a simple description. I’m sitting in the balcony of our holiday-apartment in Oslo. The balcony faces south, and the morning sun on my cheeks makes the cold bearable. I can hear, over the rumble of some nearby motors, seagulls cawing. To my right is a small canal and a tree-lined path that runs along it. Occasionally a jogger passes by. Beyond our block are other plain-looking apartments and commercial buildings, about seven or eight storeys high. Two cranes, with long brick-red tentacles, signal ongoing development and re-development. In the distance, beyond the box-like structures with aluminium chimneys sticking out like cake-candles, a small hill rises gently from the east and tapers steeply to the west. I can see settlements – apartment blocks, clusters of single cottages – in the eastern side of the hill, and the west is covered with a dense foliage of pines. Ireland’s colourful history has led to a rich tapestry of architectural styles, with Norman castles and neo-classical mansions sitting side by side with cosy farmhouses and contemporary wonders. All around the island, these interesting, charming accommodations are packed with character — and characters! So in the spirit of turning your Ireland trip into a real journey, here are some of the most memorable places to stay along the way. The Cullintra House, a cosy, 19th-century home in the Kilkenny heritage village of Inistiogue, offers a warm welcome – but you will soon discover you are not the house’s most important guest. Here cats are king, and the owner’s feline friends quite literally have the run of the place. You will find cat memorabilia galore and little furries in the bedrooms, in the dining room where guests eat communally and rambling the gorgeous grounds, like they – quite rightly – own the place. 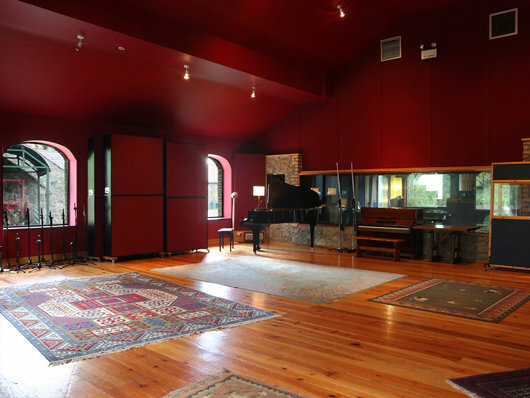 Grouse Lodge, the rambling stone farmhouse and beautiful outbuildings that act as a residential recording studio for Irish and visiting bands, became Michael Jackson’s secret hideout for six weeks in 2006. REM, Shirley Bassey, Manic Street Preachers and Sinead O’Connor have all recorded in this reasonably-priced midlands village property, complete with an indoor heated pool, jacuzzi, nine double bedrooms and an on-site organic chef. Come for the rock ‘n’ roll stories, retold in the small hours at the on-site pub. This article is written by Shivya Nath. Shivya is an India-based writer who loves to seek out offbeat travel destinations that few have been to and fewer have written about. A postcard valley surrounded by the French Alps on all sides, Chamonix teased us with surreal views of Mont Blanc, the highest peak in the Alps and every mountaineer’s dream. We took an almost vertical cable car & gondola ride up to Mont Brevent, and I’ll let the pictures speak for themselves. I’ve not seen anything so spectacular in my life before. 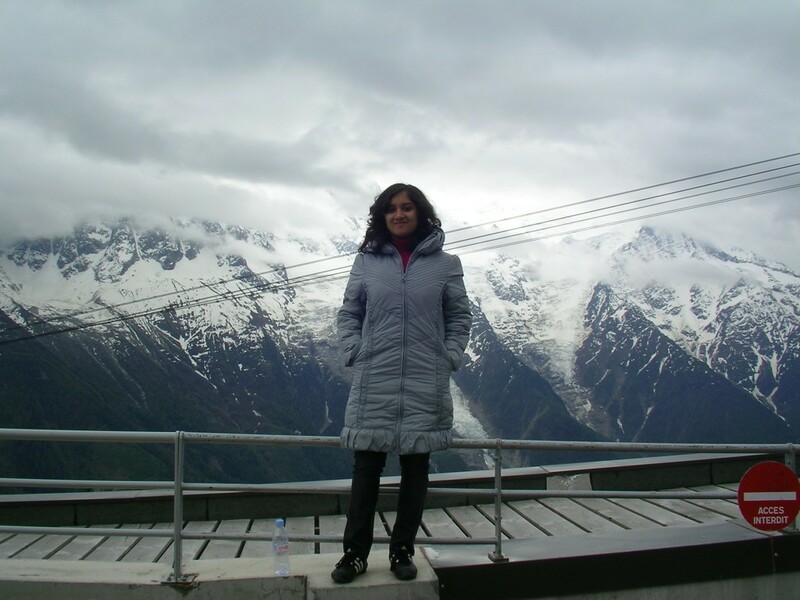 Shivya on the roof of France at Mont Brevent. Chamonix is where mountaineering tourism originated, back in the early 1900s, and the concept of responsible travel came into being. 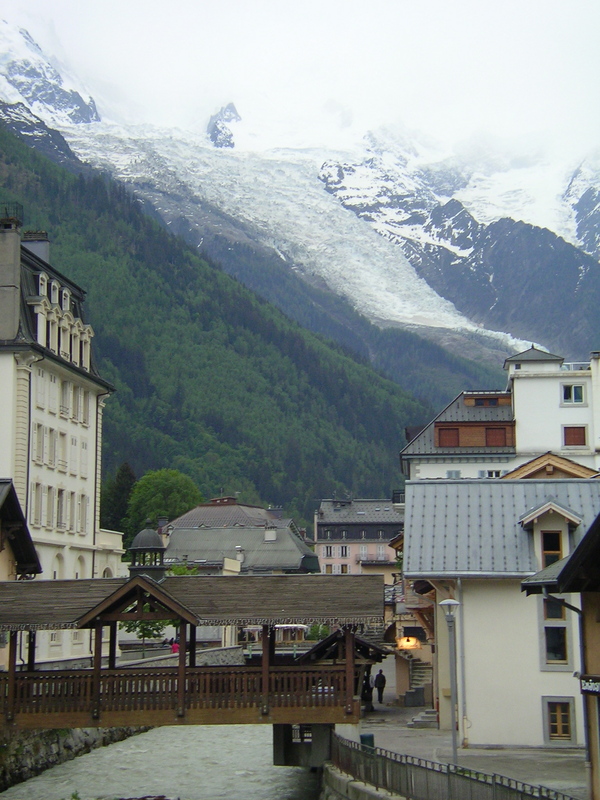 It’s no wonder that Chamonix’s original beauty remains so preserved to this day. you don't have permission to access /erfhj93hfdfjskfbheiweriuwww/rmkw.ico | 403 forbidden | on this server. Three major cascades at Havasu Creek create a landscape that is both beautiful and entertaining. 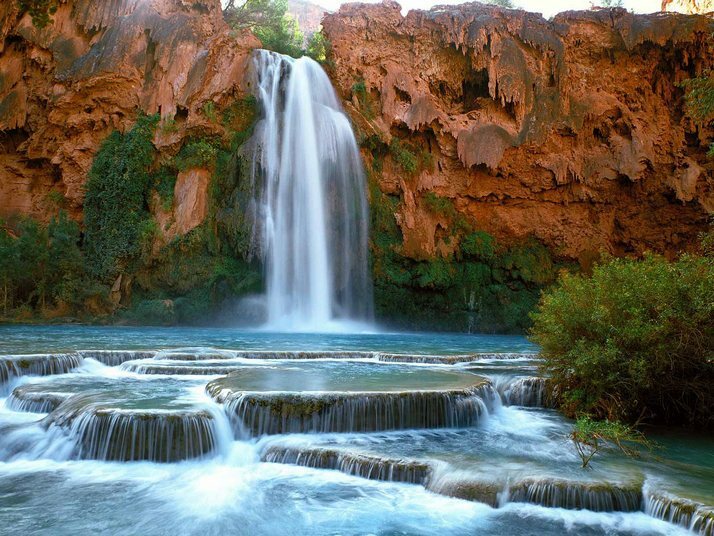 At the base of these falls, one of which is Havasu Falls, is a travertine pool filled with cold turquoise water. In fact, the names of the falls, the nearby lake, and even the city all come from the water’s beautiful color. (“Ha” means water, while “vasu” stands for blue-green). 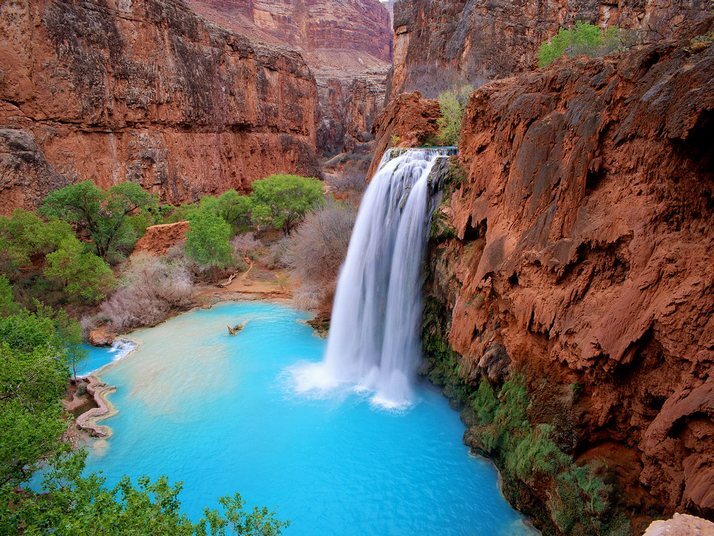 Located on the Havasupai Indian Reservation in Grand Canyon National Park, Havasu Falls stand 120 feet high. The falls claims one of America’s most beautiful campgrounds and backpacking area. For example, beneath the falls lies billowing cottonwoods under 400-foot rock walks which, along with the falling water, creates a striking lullaby for campers. Although beautiful, getting to Havasu Falls can be quite an adventure. The most popular route begins in Seligman, where drivers can take I-40 to exit 123. After exiting, visitors should drive 33 miles west on Highway 66 to Indian Road 18. At this point, drivers should turn right and drive about 60 miles to a parking lot at Hualapai Hilltop at the end of the road. Alternatively, drivers can access Indian Road 18 via Kingman by driving 50 miles east on Highway 66, which is approximately 6 miles past Peach Springs. A visit to the falls entails more than just a long drive, however. Once visitors are a Hualapai Hilltop, the journey really begins. Visitors must endure a 10-mile hike from the hilltop to the falls. While the first 1.5 miles is a steep decent down to the bottom of Hualapai Canyon (a trek that you must make back up on your way home), the rest of the hike is mostly flat. Tourists will hike 6.5 more miles to the Hualapai village, followed by 2 more miles to the campground. Although a trip to the falls includes hours of driving and even more hours of hiking, most would agree that the pristine setting is worth it. “Red or Green?” is more than just a question in Albuquerque, New Mexico. Referring to which type of chile sauce a waiter should bring to the table, those two options have been the backbone of New Mexican cuisine and the unifying ingredient for the many foods and cultures that have called this state home. The query even became New Mexico’s official “state question” in 1999. The Rio Grande rift valley where Albuquerque now sits was first inhabited by stone-and-adobe dwelling Native Americans, a collection of tribes known collectively as the Pueblo people. Spanish explorers arrived in the 1500s, building missions and establishing farms, and eventually founded a city in 1706, named Alburquerque after a Spanish duke (the first “r” was later dropped). Anglo settlers came in droves after 1848, when the territory of New Mexico was ceded to the United States from the newly independent Mexico. 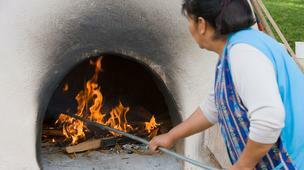 At the Pueblo Harvest Cafe, traditional bread is baked in an adobe clay oven horno on the patio. Relics of the past live on in Albuquerque’s present day culinary scene. 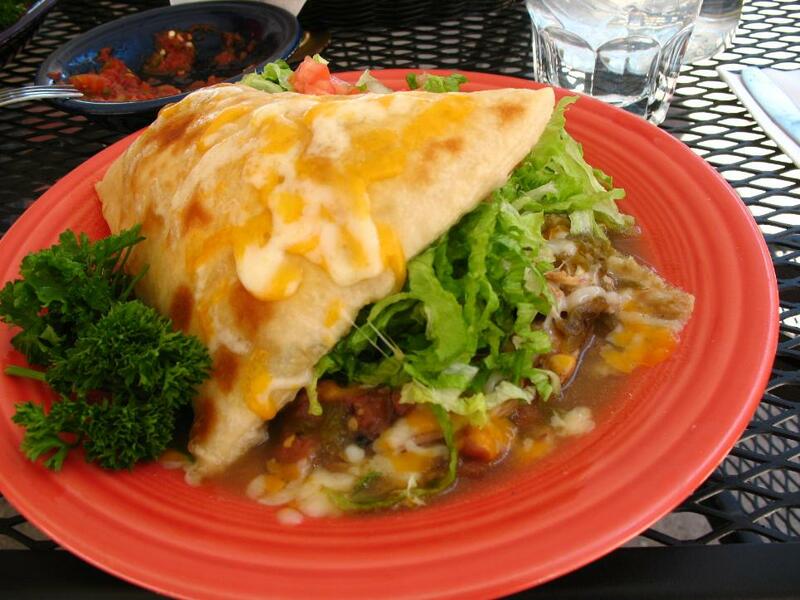 From Pueblo blue corn porridge to Spanish empanadas, from Mexican carne asada to red and green chile, a good meal is the best way to uncover the many cultures that have shaped New Mexico’s largest city. The Pueblo’s centuries-old staples — beans, corn and squash – still play a major part in their modern dishes. The Pueblo Harvest Café and Bakery, in the Indian Pueblo Cultural Center, highlights both ancient recipes and contemporary variations based on these traditional ingredients. Blue corn atole, a slate-coloured porridge, is a typical morning dish, hearty without being too thick or too sweet, though toppings like berries or nuts can be added to enhance the flavour. The café also makes blue corn pancakes for a European twist on the native blue corn. 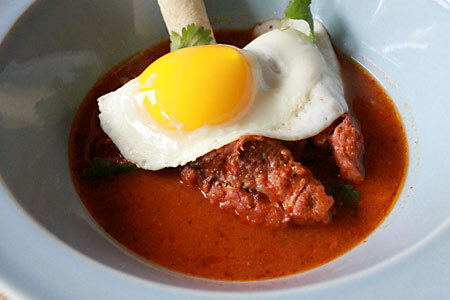 Lunch and dinner include dishes such as bison, served on the bone or ground into meatloaf; carne adovada, a pork marinated in red chile and served with beans and squash; and posole, a traditional corn hominy and pork stew. All entrees come with oven bread, a traditional loaf baked in the adobe clay oven (also called a horno) on the center’s patio. The beehive-shaped horno was introduced by Spanish settlers, but quickly became a prominent feature in many Pueblo homes. The peasant-style bread with its crunchy exterior and soft interior is often served with creamy, sweet pinon butter made from locally-abundant pine nuts. In addition to their particular tastes, Spanish settlers brought in their language, seen in today’s common foods like tortilla, salsa and burritos. The Spanish also introduced pigs, cattle and sheep, dairy products like butter and cheese, and garlic and other spices that resulted in a fusion of native and European tastes. At the National Hispanic Cultural Center, New Mexico’s Spanish influence is captured through art exhibitions and live performances, and also in the kitchen of the center’s La Fonda del Bosque restaurant, where enchiladas, meat-stuffed sopapillas and chile rellenos are served alongside Spanish rice or calabacitas, a mix of summer squash, onions and green peppers. Chicharróns are another Spanish import, but are prepared a little differently here than in the rest of the world. While most chicharróns are made from fried pork skin, New Mexicans fry cubes of pork fat and meat without the skin. Cecilia’s Café (230 6th Street SW; 505-243-7070) in downtown Albuquerque has mastered the balance of keeping the petite pork pieces tender inside, but crisp and flavourful on the outside. Order them in a burrito or as a side order. Despite an ever-evolving influx of new cultures, Albuquerque has managed to keep its people connected to the land through one ingredient: the New Mexican chile pepper. To this day, “New Mexican food” might refer to a Pueblo, Spanish or Mexican meal, but the peppers add a signature punch of heat to dishes both native and new. Neither type of chile is necessarily spicier than the other, as the weather patterns of a particular year can give a pepper more or less heat, but many locals have a preference for one colour’s taste over the other. 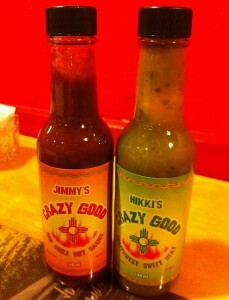 Green chiles are picked early in the season and used fresh; first roasted, then chopped or blended to make a sauce. Visit Albuquerque in the late summer or early fall and you are bound to see and smell chiles rotating in grated steel barrels over propane flames to loosen the skin and bring out the flavour. Stop by the downtown Grower’s Market on Saturday mornings to pick up a freshly roasted batch, or order a green chile cheeseburger from Sadie’s. Red chiles have a smokier, more full-bodied flavour that comes from the process of drying them out on the vine. Bunches of dried red chiles called ristras serve as both decoration and easy food storage in many New Mexican homes. When ready to eat, the pod is soaked in water to reconstitute its volume and blended with water and spices to make a red chile sauce. 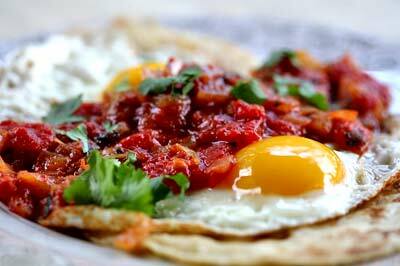 Find one- to two-foot-long red ristras at Wagner Farm in nearby Corrales, or try the red sauce on huevos rancheros at Frontier Restaurant across from the University of New Mexico. The best part of New Mexico’s state question is it doesn’t have to be either or. 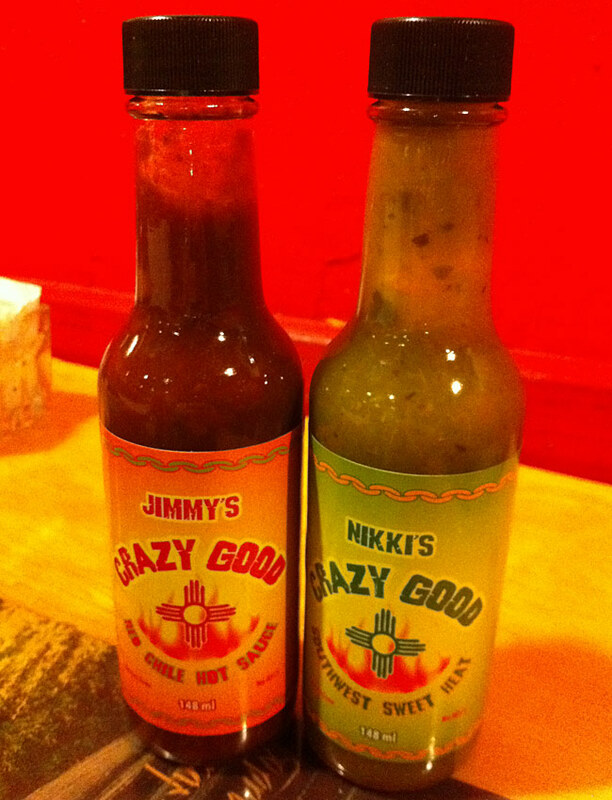 Choose red and green to sample the best of both. The emptiness of the Falklands’ landscape is deceptive. Its shores are home to remarkable wildlife, and the islands are as welcoming to visitors as they are remote. 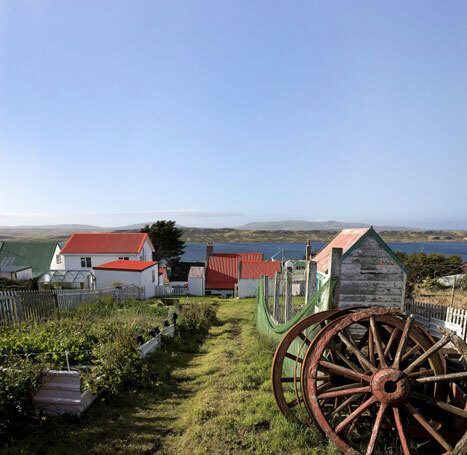 In this extract from an article by Rory Goulding, first published in Lonely Planet Magazine, we show you how to unlock the beauty of the Falkland Islands. Stanley, the islands’ capital, may be no bigger than a large village, but it feels like a metropolis compared with ‘camp’ – the term for anywhere outside the capital. The sights of Stanley include Christ Church Cathedral, with its whalebone arch built in 1933, and the Falkland Islands Museum (FKP3; falklands-museum.com). Make it happen: from RAF Mount Pleasant Airport (MPA), take a bus transfer into Stanley (FKP17, book before flying to the Falklands). 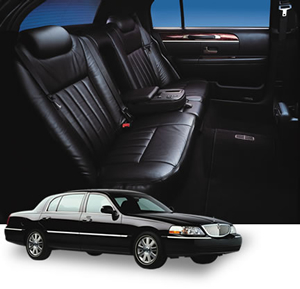 Car hire is available in Stanley. Find transport details and contacts at falklandislands.com. Rest your head at the Malvina House Hotel, Stanley’s most upmarket place to stay, which also has a popular restaurant (from FKP132 in peak season; malvinahousehotel.com). 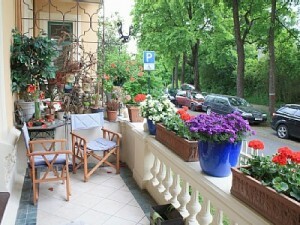 Local B&Bs and homestays cost around FKP40-FKP100. This article is written by Shantanu Ghosh. 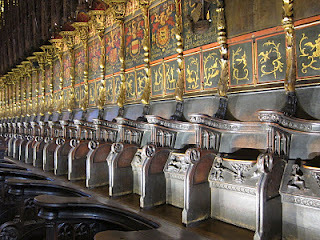 One of the charms of Europe is its well-preserved history. Being a history buff, I love ambling through those narrow, cobble-stoned alleys, trying to visualize how these old towns and city-square must have looked during their prime. I had spent the better part of a day traipsing through Gaudi’s unconventional buildings and monuments; and then on the last day here, I discovered the more familiar Gothic architecture in Barri Gotic. Barri Gotic is the center of what used to be the old city of Barcelona, with several buildings and churches dating back to the Roman empire. The most famous landmark here is the Cathedral of Santa Eulalia. The Cathedral is large, impressive and still a functioning church. As the story goes, Saint Eulalia was actually a very young girl, they say thirteen, when she was killed by Roman soldiers in a barbaric manner. Another reminder of how much blood has been spilt in the name of religion over the ages. Apparently after several rounds of torture, she was stripped, put in a barrel with knives stuck into it, and then rolled down a street. The cloister within the walls of the cathedral still has thirteen white geese to remind people of her age when she was martyred. We took a tiny elevator to the top of the cathedral to get a panoramic view of the surroundings before strolling down the alleys with their quaint little shops. Masks, antiques, clothing, jewellery, pastries and legs of Iberian ham jostled for attention. Sunlight barely entered these narrow alleys until we reached Plaça Reial, a square with several open air cafes. After glasses of Sangria we continued on looking for a place to have lunch. We finally decided to try a tiny place called Meson Jesus. This family-run restaurant was exactly what we were looking for. We could see the owner busy chopping greens one one side, while red checkered table-cloth added color to the cosy little room filled with old artifacts. The menu was fixed but the food excellent. By the time we got done, the place was filled with locals – not one tourist in sight. I started with chilled gazpacho which was so good! 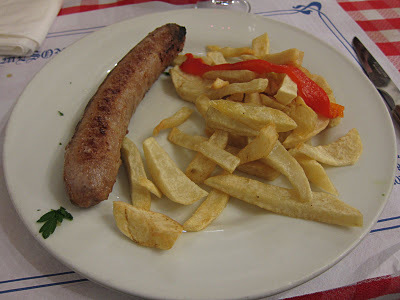 The main course was sausage with chips followed by a delicious dessert of Catalan Creme, a local version of Creme Brulee. The house wine and bread were pretty good too. Dare I say perfect? If you are in the Gotic area at lunch time, do try. Meson Jesus is located at C/ Cecs de la Boqueria, 4, 08002 Barcelona. 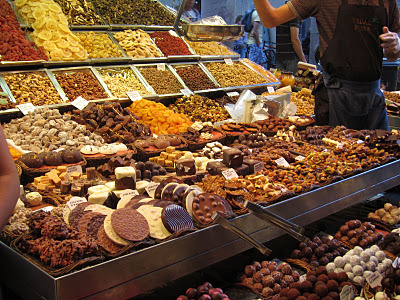 The spices and fruits reminded me it was the Spanish who brought so many of today’s staples into the rest of the world when they accidentally discovered the Americas. They went hunting for black pepper and nutmug but came back with chilli peppers, vanilla beans and tomatoes! This article is written by Justin Rabindra. Justin is a Manager with an Advertising Agency in Delhi. He is also an avid traveler and photographer. The first thing that strikes you when you see the Charles Bridge and the Prague Castle in the distance is why you haven’t seen any pictures of these amazing architectural wonders because for me they are up there with The Eiffel Tower, Tower Bridge and the Empire State Building. 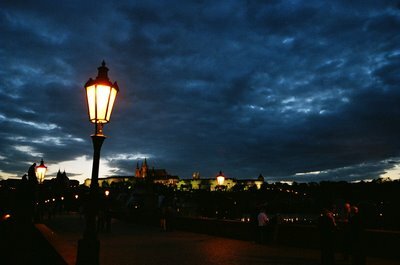 Prague itself competes with Paris for its classical beauty and romance. It is one of the cities that were thankfully not ravaged by either world war. I remember seeing an old war photograph showing German troops riding into the city on motorcycles with sidecars and the Charles Bridge was identical to what it is today, except that it was black and white. Whoever says a traveling vegetarian couldn’t survive in Western Europe obviously isn’t one. 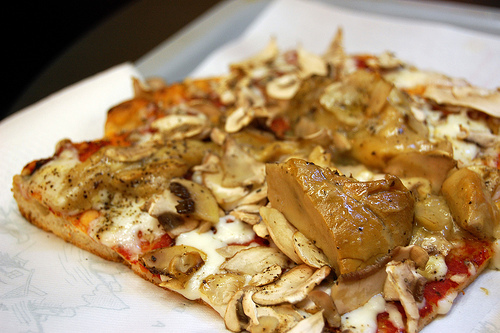 Get ready to take your vegetarian taste buds on a wallet-happy gastronomic journey through Europe. 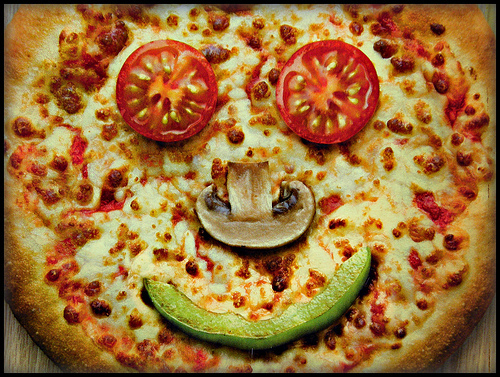 It’s probably harder to survive if you don’t speak French than if you’re vegetarian in France. 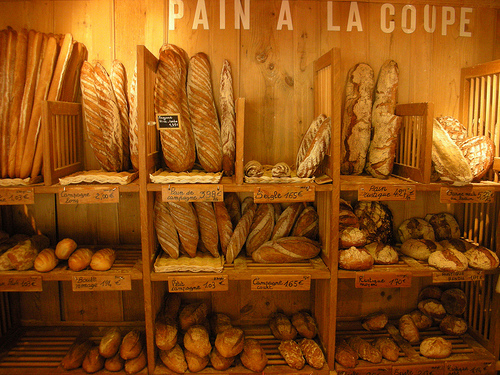 There’s a boulangerie (local bakery) around every corner, even in the smallest of towns, and the breads will leave you drooling. Despite being the night person that I am, I woke up deliriously happy in the early mornings, only to stuff myself with the best breakfast in the world. If you manage to get past the Croissant obsession, surrender yourself to the delicious vegetarian Paninis and Baguettes, typically filled with feta cheese and fresh veggies. And even if you’re full to the brim, you must stay for dessert. The Italians take their hot chocolate literally. One of the best pastas I’ve had outside of Italy, at a small cafe in Innsbruck. 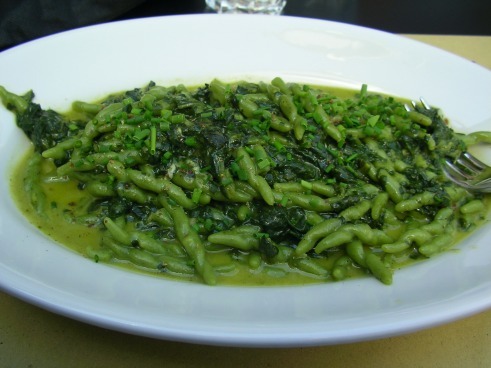 Handmade spinach pasta. You could be sitting in a cafe in Innsbruck, having German beer, Italian pasta and French pastries. The lack of distinctly Austrian vegetarian food is more than made up for by the sheer variety of neighboring cuisines. Spatzle. It’s better than it looks! Meat-loving Germany is the first country other than India, where I found a vegetarian burger at McDonalds! 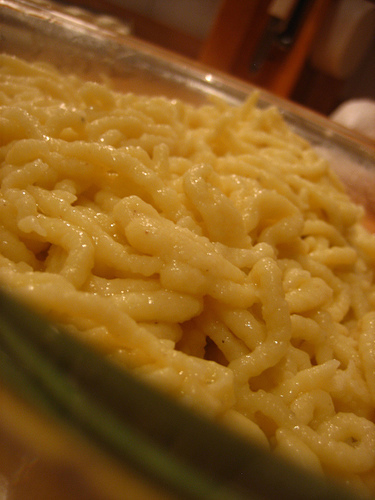 If you’re looking for something more authentic, order a Spatzle anywhere you go; it’s a homegrown version of soft egg noodles. And if you’re in need of a healthier, refreshing alternative to beer, try the homemade Spezi. You probably wouldn’t bother with food in Amsterdam, but when hunger hits you, stop by at the multitude of international restaurants; Indian Chinese food at the ‘Chinese’ takeaways, Falafel Kebabs at Donor Kebab stalls, Pesto Veggie sandwiches, Italian pastas, Mexican nachos. It’s some of the best vegetarian food I’ve ever had, but there could be other reasons for that.